The history of room fresheners begins in the nineteenth century, when Europe is swept by a craze for “smelling therapy”. Doctors are convinced that there is a link between the nose and various internal organs, so they prescribe sachets to be worn to treat nervous afflictions, such as melancholy or hysteria. Fumigation is also widely used to counteract infectious diseases. So sailors on ships burn a mixture of vinegar and gunpowder, while hospitals purify premises with juniper and rosemary. A pharmacist from Piacenza, Vittoriano Casanova, has the opportunity to create his own “therapeutic mix” after a trip through Eritrea and Somalia. He studies the purification systems of palaces and hospitals in Africa; he brings back with him extracts, musks and resins unknown in Italy. The pharmacist experiments with more than 30 essences, grinding them in a mortar and leaving them to steep in pure alcohol for a few weeks. When the blend is ready, he pours it on sheats of blotting paper, which are then cut and bound to make booklets once they dry. 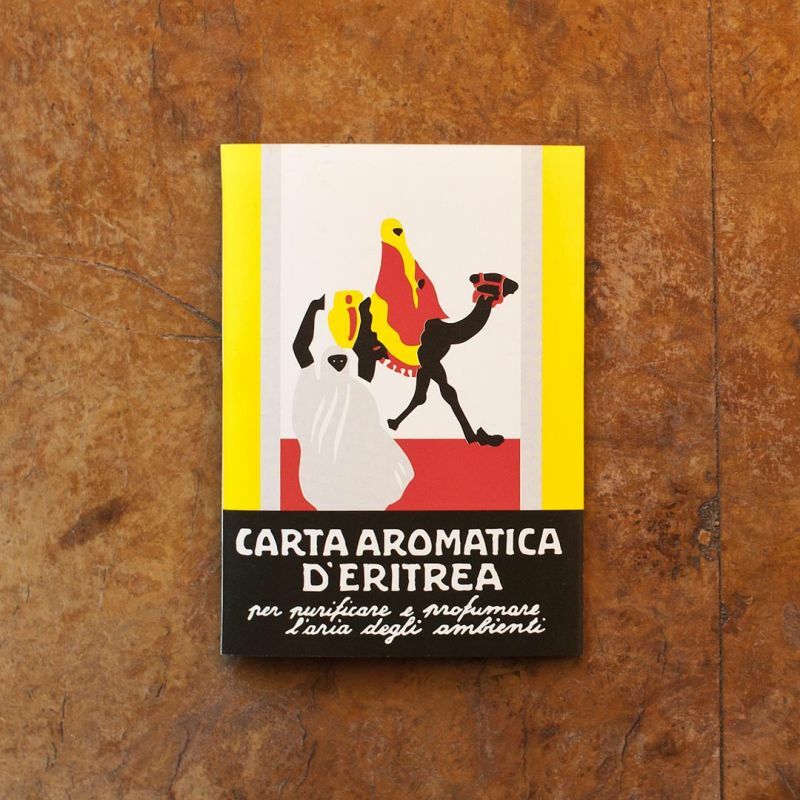 Even today Eritrea scented paper is made the same way: the “booklet” is made up of 24 precut strips ready for burning, or to be used in linen closets, in cars or any place that would benefit from a whiff of fragrant wooden notes.